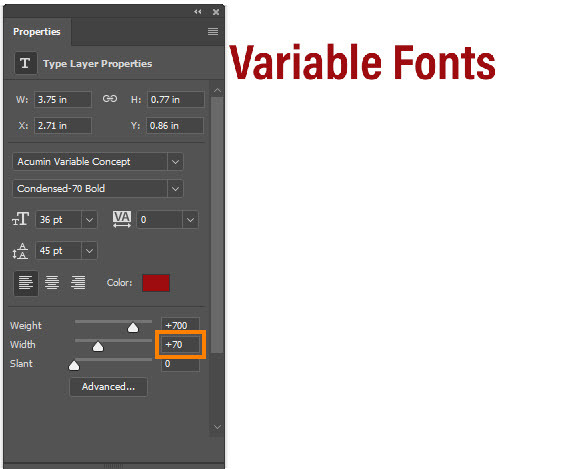 Control for variable fonts, also known as Multiple Masters, has been added in Photoshop CC 2018. 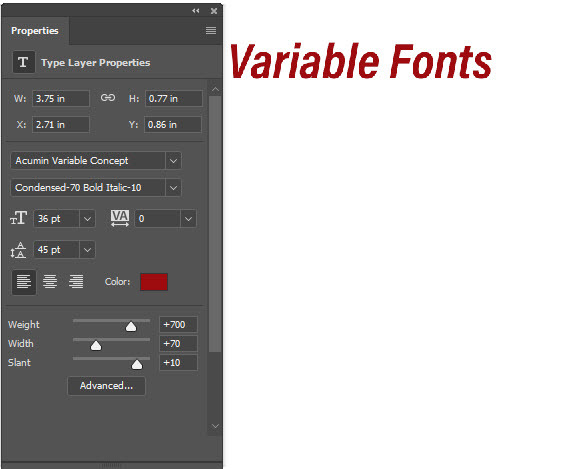 Basically, a variable font lets a single font file be customized to to create variations such as bold, condensed, italic, etc. This is a new feature in Photoshop CC 2018. 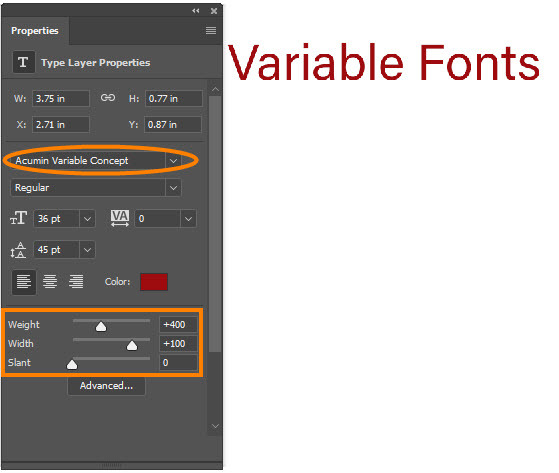 Variable fonts can be identified by the icon next to the font name in the Fonts menu. 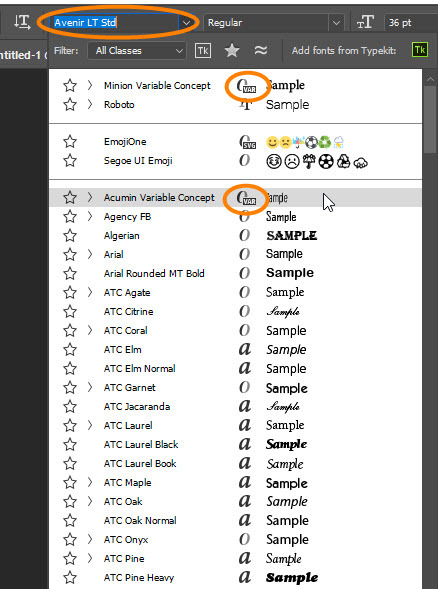 A small "VAR" appears on the icon. 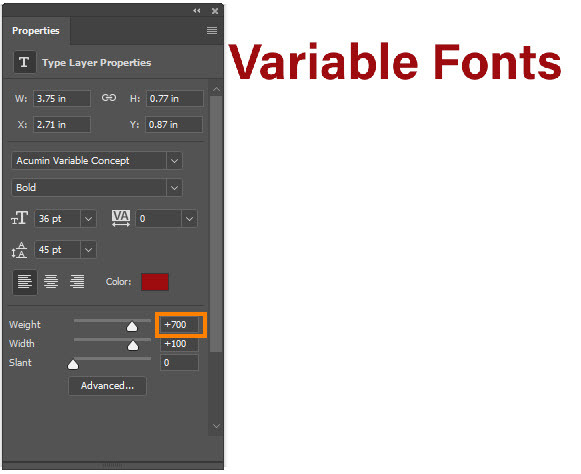 Variable fonts can be edited on either the text or layer level. If all the text on the layer is to be adjusted, you can use the Move Tool. If only certain words or characters need to be affected, use the Type Tool to highlight the text. Open the Properties Panel. You'll see controls for Weight, Width and Slant. Weight lets you adjust the boldness of the text. Width will condense or expand the text. Slant will create a false italic.